As we headed into December last year, I wasn't sure what I wanted to do for storytime. It was almost winter, but I didn't really want to get into snow just yet since we really don't get snow around here until January or February. I finally decided to focus on animals in winter, how they prepare and adapt, then do a storytime in January about fun in the snow. We started with our welcome song, then we talked a little bit about winter and how animals prepare for winter: some gather food in the fall to last through the winter, some hibernate, and some migrate to warmer climates. After the introduction, we sang our "story song", which helps them get settled and focused to lead into the first story. 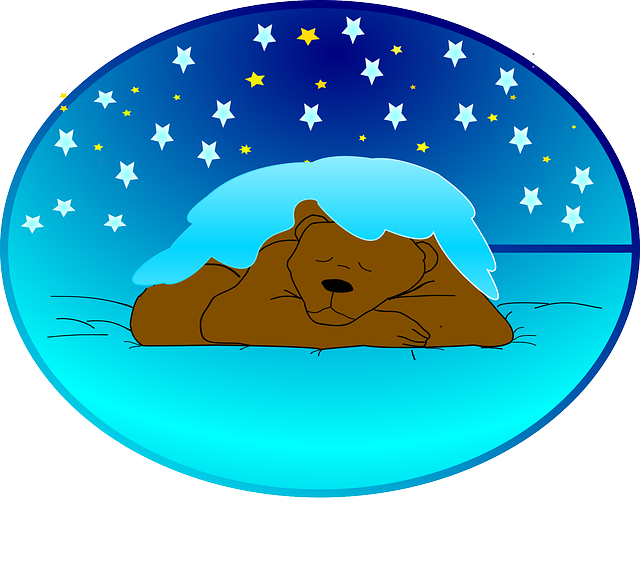 For our first story I selected Karma Wilson's classic Bear Snores On, in which Bear first meets all of his friends as the smaller creatures take shelter in Bear's cave during a winter storm while he is sound asleep. They inadvertently wake the Bear and at first he seems angry, but it turns out he is only sad about being left out of the "party". All ends well and Bear now has several new friends. 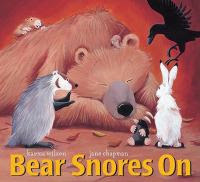 While there are a number of "bear"-themed stories that introduce the subject of hibernation, but I have a soft spot for Karma Wilson's Bear books, largely due to the wonderful illustrations by Jane Chapman, and they have a nice rhyme and rhythm. After that, I transitioned to an action rhyme that I like because it mentions several animals and how they cope with winter: the squirrels gather nuts, the geese fly south, the fox has his winter coat to keep him warm, and the bear hibernates. For our second book, I choose a silly story about dressing oneself, a skill preschoolers are often still working on. 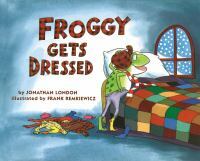 In Froggy Gets Dressed by Jonathan London, Froggy decides he doesn't want to sleep through the whole winter and miss out on playing in the snow. He is so excited, he keeps rushing out without being dressed properly and his mother has to keep calling him back, "Froooggggyyyyy". Finally, after all the flopping back and forth, he decides he is too tired to bother and goes back to bed. Children appreciate the silliness and all the repetition, and will soon join in acting out getting dressed and calling out Froggy's name. Dressing oneself is a skill that preschoolers can relate to as well. Then we transitioned from a book about getting dressed for winter to a song about staying warm in winter, including people bundling up and animals finding other ways to stay warm. Then for the last book I chose a relatively short, simple one that shows the hare and several other animals preparing for winter, again including gathering food, hibernating, migrating, and changing colors. 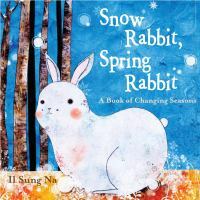 There are a number of books with stories about bears hibernating, but I really like how Snow Rabbit, Spring Rabbit by Il Sung Na presents the other ways different animals stay warm or adapt to winter with unique, charming illustrations. It is short and sweet, perfect for the older toddler/young preschooler set. I particularly like how it shows the hare changing from it's white winter coat back to it's brown coat in spring. After that, it was time for our closing song and good-byes. I had about 12 kids today who were still pretty restless and getting used to the routine (this was only my third storytime with them), but I was pleased to see they were already learning the opening and closing songs and tried to sing along and seemed to enjoy doing the motions. They really participated well in the action rhyme and song that went with the theme as well. However, even though they asked for stories several of them were still having trouble staying focused and engaged, and were moving around and talking to each other or making extraneous comments instead of listening to the stories. Then there were also a few who were "too engaged", wanting to stand up in front of the book and point out every detail. Some insisted on sitting too close and refused to believe they could actually see better if they scooted back a little more. But I did get in 3 stories this time, so we were definitely making progress. One thing I noticed is that I seemed to lose them with transitions, when I would try to make an effort for a smooth and natural segue from one component to the next. I found that at least with this group, it seemed to work better to just go right into the next thing without pausing or talking in between. My sister is OBSESSED with the show "The Walking Dead"; therefore her kids are all zombie-crazy, too. So when I happened across the following two books (the first while buying something else from Amazon; the second while checking in new books at work earlier this year), I knew they would be perfect for my 3- and 5-year old nephews for Christmas. Ages: Intended for adults, but enjoyed by kids as well. 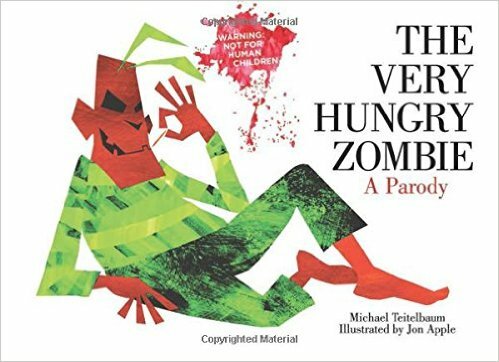 This book is obviously a parody of Eric Carle's The Very Hungry Caterpillar and uses similar artwork and similar story, with the zombie eating something different each day of the week, including astronauts, rock stars, and clowns (which tasted funny). It is intended to be humorous and silly, not graphic, so while it is written for adults, many children would enjoy it as well. Not for the sensitive or fearful child, but one who is into zombies and gross and/or dark humor would love this book. I'm not a TWD fan or particularly into zombies myself, but I still found it cute and funny and enjoyed the slightly twisted humor. Both of my nephews loved it! Reginald isn't like the other zombies terrorizing Quirkville. 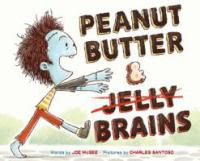 Instead of craving brains, Reginald dreams of a peanut butter and jelly sandwich. After several unsuccessful attempts, he finally takes one from a little girl's lunch at the bus stop. Eventually he manages to convince the other zombies that peanut butter & jelly is better than brains, and the zombies and humans can then co-exist in peace. This is a another cute, silly zombie story kids will enjoy. Since children are the intended audience for this one, the illustrations are more silly than scary, with not even a cartoonish hint of blood or gore at all and the story only mentions zombies wanting brains, never actually eating anyone. And they are all happily converted to PB&J-etarians in the end, which most kids can related to since PB&J is a childhood staple for many. Sadly, I cannot report my nephews' verdicts as somehow my sister managed to lose this one between the time it arrived and Christmas, but I'm certain they would have loved it. I also gave their older brother and sister middle-grade novels (not zombie related), which I posted about on my other blog, Jen's Library Tales : "Middle Grade Novels I Gave For Christmas - The Reluctant Reader" and "Middle Grade Novels I Gave For Christmas - The Voracious Reader". This is the Christmas storytime that I did last year, before I started my blog. At that time, I was still a storytime newbie with only 3 storytimes under my belt, but I had already learned a lot from those 3 storytimes. By this point I had established a basic storytime plan with a beginning routine of a welcome song, followed by an introduction, then a lead-in song which has now become known as our "story song". For our first book I chose one that just came out the year before, Is It Christmas Yet? by Jane Chapman. I really liked the cute story of little Teddy Bear who just can't wait for Christmas, and annoys Big Bear by asking him every few minutes if it's Christmas yet, which most kids (and adults) can relate to. I fell in love with the illustrations as well, and if they seem familiar, it's because Jane Chapman is also the illustrator of Karma Wilson's Bear books. 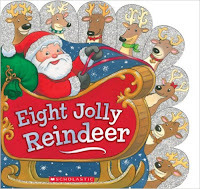 Then, I decided to go straight into a second, short book, Eight Jolly Reindeer by Ilanit Oliver. They enjoyed counting the turkeys in Ten Fat Turkeys during our Thanksgiving storytime, so I thought they would like counting reindeer as well, and it would be a great lead-in to singing "Rudolph the Red-Nosed Reindeer". Rudolph, Rudolph, touch the ground. Rudolph, Rudolph, touch your nose. Rudolph, Rudolph, touch your toes. Rudolph, Rudolph, jump up high. Rudolph, Rudolph, touch the sky. Rudolph, Rudolph, touch your knees. Rudolph, Rudolph, sit down, please! I like how this action rhyme ends with having them sit down, and ready for the next book. 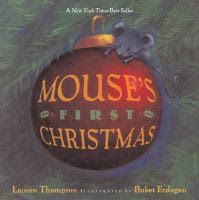 For our last story I chose Lauren Thompson's Mouse's First Christmas. It has a simple, sweet story of a little mouse exploring around the house on Christmas Eve after everyone else is asleep, showing all the interesting things he finds. The kids can guess what each thing is; some are easy, but others are a little more challenging. This works well for younger kids who need something shorter and very interactive. After that, we closed with a rousing round of "Jingle Bells" and I surprised them by bringing real jingle bells to use with the song. I had a small group today, and the kids just seemed a little off and out of their normal routine. Usually they crowd too close to me, but today they were all spread out way too far away and didn't really want to participate much and didn't seem that excited about Christmas like I expected. I also had a heated argument break out between two of the kids as we were talking about Christmas and traditions during the introduction. I never could quite figure out exactly what the point of contention was, only that it had something to do with chicken and they both felt very strongly about it. 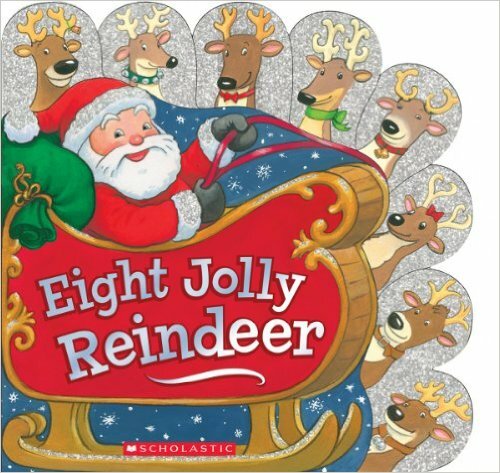 I was really surprised that they seemed to have no interest in the reindeer counting story after they liked the Thanksgiving counting story so much, but it totally fell flat. They did finally perk up and get interested when I read Little Mouse's First Christmas and got into guessing what each discovery was. Then they really got interested when I pulled out the bells for "Jingle Bells", so we at least ended on a positive note. I have learned since then that doing storytimes close to any of the big holidays can be tricky. You never know what the kids are going to be like because they are usually out of their normal routine, and often over-stimulated. They may be bouncing off the walls with excitement, or they may be past that stage and starting to crash and withdraw from sensory overload and be hard to get engaged. So, you have to be prepared with back-up books and activities, and adjust on the fly. But, sometimes, if you're lucky, you get them right at the point where they are really enthusiastic but still in control, and you can have a lot of fun! This was my sixth and final day of Christmas storytimes for this year. The first 5 days were with the storytime bus, but this last one was with my regular daycare I had been going to for about a year before I got the position with the storytime-to-go program. Even though I sometimes use the same theme, it's a little different because I go in to the classroom and it's the only one I do that day. So I don't have to worry about a tight schedule, I have a larger group, and I can experiment a little and include a little more since there's more time and flexibility. I also take the time for a little longer beginning routine and a closing song. I started with our usual greetings, welcome song, and introduction. I knew with it being the last day of school before Christmas and the day of special Christmas activities that the kids would be more hyped up, so I did several extra verses of our "story song" to try to get them more settled and focused. 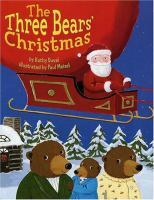 For our first story, I chose The Three Bears' Christmas by Kathy Dival and Paul Meisel. This is a cute re-telling of Goldilocks and the Three Bears with a Christmas theme. Instead of porridge, it's gingerbread bear cookies; and instead of Goldilocks, it's Santa who has been in their house nibbling their cookies, sitting in their chairs, laying in their beds, and leaving presents! The story is cute and I like how there are little clues throughout the story that become more and more obvious as you go along. It's interesting to see when the kids start picking up on them. You can't guide Santa's sleigh if your nose is BLUE. Rudolph, Rudolph, you're such a silly fellow. Who will know it's you if your nose is YELLOW. Rudolph, Rudolph, Santa gave a wink. Rudolph, Rudolph, it's time to fly at night. But you can't get through the snow if your nose is WHITE. Rudolph, Rudolph, it's time to go to town. But you can't help Santa if your nose is BROWN. Rudolph, Rudolph, Santa has his sack. But you're not ready if your nose is BLACK. Rudolph, Rudolph, the children are in bed. And now you can get on your way because your nose is RED! And of course we had to follow that by singing "Rudolph the Red-Nosed Reindeer". Since the kids were really getting wound up, I decided to skip the second book (Shhh! by Julie Sykes and Tim Warnes) and go straight to the last book, Click, Clack, Ho! Ho! Ho! by Doreen Cronin and Betsy Lewin as it is shorter and more simple, but still funny. 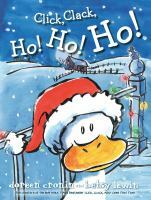 In this book mischievous Duck is up to something on Christmas Eve. He climbs up the telephone pole and zip-line's across to the roof, where he falls in the chimney and gets stuck. All the other animals zip over to the roof, and try to help Duck get unstuck, but they all end up stuck, too! Finally Santa arrives and saves the day. The story is simple, and the kids will enjoy predicting that the other animals will get stuck, too, and being tricked into wrongly predicting Santa will get stuck as well. Then we ended by singing a couple of rounds of "Jingle Bells", with bells of course. Then I told them about the magical reindeer food I was leaving with the teacher for them to take home at the end of the day and save until Christmas Eve, sang the closing song, and gave them all hand stamps. Things went as well as could be expected, considering it was the last day of school before Christmas and they had special activities planned, and this group is generally less disciplined and much more chatty and squirrely than last year's class anyway. I was surprised at how quickly one girl caught on to the fact that it was Santa in the three bears' house. She spotted the first clue, just a tiny glimpse of Santa's sleigh up in the corner of the page, and when the bears saw their door open, she knew right away it was Santa. It took the other kids a little longer to figure it out. They liked this story, but not quite as much as I hoped they would. I think they have to be really familiar with the original story to fully appreciate it, and only 4 or 5 of them said they knew the story of Goldilocks and the Three Bears. Just like with every other group, the "Rudolph, Rudolph" activity went over really well, and just like most every other group, they guessed it was a turkey when I had just put up the face without the ears, antlers, or nose. I find that really interesting, as I really wouldn't have thought of it that way, but that response was very consistent. I guess the head could kind of look like a turkey's tail, with the darker colored snout looking like a turkey's neck and head. Some guessed it right when I added the ears, the rest got it with the antlers. One little boy guessed "moose" which made sense as he was wearing a shirt with a moose on it. They all really liked the silly antics of the Duck in Click, Clack, Ho! Ho! Ho! and how everyone else got stuck. Not everyone is this group was fooled; however, and some correctly guessed that Santa would get them out and not get stuck himself. They had a great time with the jingle bells, though at first I realized some were just singing random songs while shaking the bells, and not actually singing "Jingle Bells"! I've never noticed that happening before. Then, once I got them all on track, they didn't want to stop, continuing on with another round after I had stopped. Which was perfectly fine with me; I enjoyed just listening to them and appreciated the enthusiasm! I remember last year I saw a noticeable improvement in listening skills and being able to sit quietly after we came back from the winter break, so I hope the same happens this year. I feel like there are just so many more great books available to them once they get to the point they can sit still and listen for 5-10 minutes and I don't want them to miss out. I don't mind the interruptions to ask a question or make a brief comment related to the story, but when they are constantly moving around, talking to each other, and interrupting with comments unrelated to the story, it makes it difficult to read anything other than the very short, simple books that don't really have much of a story or more complex language. Shhh! by Julie Sykes and Tim Warnes is a cute and funny story about all Santa's noisy mishaps as he delivers presents on Christmas Eve. All the animals keep telling him, "Shhh, Santa! You musn't wake the children." The kids love the humor and often need little or no prompting to join in with the repeating line. Children can relate to young Teddy's eager anticipation in Is It Christmas Yet? 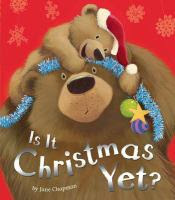 by Jane Chapman (illustrator of Karma Wilson's Bear books), and adults can relate to Big Bear's growing frustration with his constant asking, "Is it Christmas yet?". Children will be horrified when the Christmas tree breaks as they try to get it in the house, but it all works out in the end, and when Teddy wakes up it is finally Christmas. Click, Clack, Ho! Ho! Ho! is the latest book by Doreen Cronin and Betsy Lewin. It is a simple, purely silly story with the mischievous duck getting himself in trouble, which soon involves all the other animals. This has a simple story, with repeating lines that the kids can say, as well as a plot they can easily predict once they see the pattern. Until the very end, when they will undoubtedly predict Santa will get stuck, too, only to be told, "Don't be silly, Santa would never get stuck". In Karma Wilson's Bear Stays Up - For Christmas (illustrated by Jane Chapman), Bear's friends are determined to keep the normally hibernating Bear from missing Christmas this year. Will he be able to stay awake? As you know, I love Bear books, and this one is no exception, and I can certainly relate to the over-tired, sleepy Bear. Jingle-Jingle by Nicola Smee is basically a winter version of Clip-Clop, a known storytime hit. Jingle-Jingle has a short, simple, but funny story with repeating elements and sound effects that kids enjoy. This is particularly good for younger kids, or for a general winter theme as well. When Cows Come Home For Christmas by Dori Chaconas and Lynne Chapman is a very funny story about a cow who gets her hooves stuck in the floor where the Christmas tree is supposed to go, and is unable to get out. Eventually, they decided to decorate her instead, spawning a new family tradition! This is a little long for the younger kids, but older ones will love it. Mouse's First Christmas by Lauren Thompson is a cute little story with Little Mouse exploring around the house on Christmas Eve, leaving the children to guess what he finds. The one issue I have with this book is that a couple of the illustrations are ambiguous or misleading, and usually require extra hints for the kids to guess. Of course, Clement Moore's 'Twas The Night Before Christmas is a classic, and I've always loved it; though it is a little long for many preschoolers. I hoped this version with more simple, modern illustrations by Daniel Kirk would be more appealing so I could read it with at least a couple of the older groups, for the sake of tradition, and it seemed to work pretty well. The What Am I? lift-a-flap books are always good to use with younger or more restless kids that need something short, simple, and very interactive, so of course I included the Christmas one by Anne Margaret Lewis and Tom Mills. And last but not least, I'm Not Santa by Jonathan Allen has a very confused Baby Hare mistaking fluffy Baby Owl in his red and white hat for Santa. When Baby Owl tries to explain he is not Santa, Baby Hare starts crying, so Baby Owl in desperation agrees he is Santa. This just makes Baby Hare cry harder, which then makes Baby Owl cry, too! At Christmas, I like to stick with traditional and fun Christmas songs like "Rudolph, The Red-Nosed Reindeer", "Jingle Bells", "Frosty The Snowman", etc. For one, the kids usually know them, and we can add movements or bells and dance around a little. They always love it when you get out the bells! I'm guessing most people know these songs or could easily find them, so I'm not going to bother writing them all out. I also made a great Rudolph flannel board activity that I saw last year, but too late to use. I saved the pattern provided by Library Quine and was sure to make it this year, and found the poem from Crafty Chic Mommy. I usually start by first putting the face on and see if the kids can guess what it is, and rarely will anyone get it (I get a lot of "turkey"s). Then I add the ears, and a few might guess then. But of course as soon as a start to put on the first antler, they all know it's a reindeer (though I did have one guess "moose"). Next, I ask them if they know any special reindeer, and after they come up with "Rudolph", I ask them what is special about Rudolph. When they say something about his nose, I then ask what is our Rudolph missing, and should we help him find it? I read the poem, carefully putting on each nose without revealing it until the end of the line, and let them call out the color. I really ham it up, trying to convince them each color is good enough because it's bright, pretty, a Christmas-y color, made with a little red, etc., They think it's funny and of course insist we must keep trying until will get the right color. I keep telling them they are awfully picky, and "reluctantly" try another "if you insist". Then we finally get to red, and of course have to follow with a rousing round of "Rudolph the Red-Nosed Reindeer" with all the hand motions and shout-outs. For really small groups of 7 or less, I pass out the noses to the kids and let them bring them up and put them on when the color is called. This rotation started off with a lot of improvising and "Plan B" followed by "Plan C"! The night before the first day, the driver for our RV/mobile storytime called in sick, and I have neither the desire nor capability to drive that thing. So I just planned on picking up the kit from the branch where we normally meet (they are taken to this location in advance for the volunteers to have a chance to review) and going to the daycares myself and having storytime in the classroom. My flannel board and bells were on the bus, which is stored in a secure location that I don't have access to (or even know exactly where it is), so I rigged one up with a flannel pillow case clamped tight around a memo board from home. The next morning I got to the branch to grab my kit, only to find the custodian who is normally there to let us in was not there, and I don't have keys for that building! I knew I didn't have time to go to my building that I did have a key for, and likely anything good was checked out anyway. Fortunately, I did happen to have one Christmas book and a handful of winter books in my van, and I had just finished making the Rudolph felt pieces, so had them with me rather than in the kit. There was a Wal-Mart down the street, so I zipped over there and ran in and quickly bought a couple more Christmas books, and headed over to the preschool with my improvised flannel board and smaller-than-normal book selection. But, though I was a little flustered at first, it all worked out great! Actually, I found I really like doing it that way better. I didn't have to worry about limiting the group size, had more space, and I felt more connected to the kids and teachers. The kids loved the Rudolph, Rudolph flannel, and were fine with what books I had. Though I felt bad they didn't get some of the great Christmas books I had planned, they didn't know what they were missing. We ended up having a great time. The rest of the rotation all went well (up until today). There were so many good stories, but I would say that Shhh!, Click, Clack, Ho! Ho! Ho!, When The Cows Come Home For Christmas, and Jingle-Jingle were all big hits because of their humor. The younger ones also enjoyed Mouse's First Christmas and What Am I?. I don't think there was anything that I would say didn't work. Sometimes it was hard to decide what to read because they were all so good. The Rudolph, Rudolph flannel was a HUGE hit! They absolutely loved it, and so did the teachers and volunteers. And of course what kid doesn't like singing "Jingle Bells", especially when you get to have real bells! 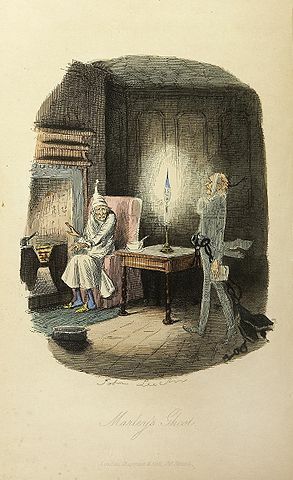 As for today, I went in expecting another day of jolly good fun, but it didn't quite go that way. Almost every group I saw was just off somehow. The first one, the young ones, just seemed lifeless. Except of course for the two that were SO disruptive it was an exercise in futility. After the second story, I basically called it quits and did one last song and sent them on their way. They second group was overall slightly restless and just could not get them to engage in anything. The third group is usually one of my best, but their teacher was out and the sub got them there late, so they missed almost half their time slot. They were well-behaved, but not as enthusiastic as usual. Thankfully the fourth group were their usual wonderful selves and were well-behaved AND very enthusiastic. Then we went to the next location for one last group, and they were completely out-of-control! Interrupting, banging heads on the wall, kicking feet on the floor, getting up walking around, trying to go behind us and snoop around in our stuff, just would not listen. The only thing that seemed to hold their attention fairly well was the Rudolph, Rudolph flannel activity. It was not an awful day, but it was frustrating and disappointing. I hate ending a theme on a sour note, especially Christmas. I chalk all the squirrely behavior up to (1) being too close to Christmas, and (2) to the unusual spring-like weather we've been having. I'm glad we are taking a break from storytime until after the holidays! I hope everyone has a happy and safe holiday season, whatever you choose to celebrate (or not)! I love snowflakes! I think they are so pretty; I love to decorate with cutout snowflakes in the winter, and I've always wanted to make a snowflake wedding cake, but never got the chance (I used to have a wedding cake business once upon a time). But, don't let me catch you with anything but proper 6-pointed snowflakes! One little, two little, three little snowflakes. Four little, five little, six little snowflakes. Seven little, eight little, nine little snowflakes. They are falling all around us. Ten little, nine little, eight little snowflakes. Seven little, six little, five little snowflakes. Four little, three little, two little snowflakes. And one little snowflake falls. I put the snowflakes on the board one by one as we sing, and everyone else counts up with their fingers. [ If you have the time and inclination, you could also cut out a whole lot of lightweight paper snowflakes and toss them over the kids when you get to the "millions of snowflakes fall" line.] Then remove the snowflakes from the board as you sing the last verse. I also found two "Five Little Snowflake" rhymes at Bussongs.com. One counts up from one to five, and the other counts down from five to one. You can do one, both, or mash them up together like I did into one long poem that first counts up, then down. Again, I put the snowflakes on, then take them off, one by one as we say the rhyme, and everyone else uses their fingers and we act out the motions. One little snowflake with nothing to do. Along came another and then there were two. Two little snowflakes laughing with glee. Along came another, and then there were three. Three little snowflakes looking for some more. Along came another, and then there were four. Four little snowflakes dancing as though alive. Along came another, and then there were five. Five little snowflakes flew round and round. One got caught by the wind and went floating down. Four little snowflakes flew round and round. Three little snowflakes flew round and round. Two little snowflakes flew round and round. One little snowflake flew round and round. Until it got caught by the wind and went floating down. I do realize the first part is different for each stanza, while in the second part the number is the only thing that changes. At first I thought about finding another count-down rhyme with stanzas that change each time, but then I decided the kids would have a much easier time joining in on the more repetitive one, so I decided to keep it as is. 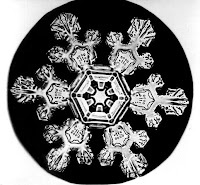 And as a bonus, a link to Snowcrystals.com, a site by snowflake expert Kenneth G. Libbrecht, with some *amazing* photographs of real snowflakes, along with the science behind how they form, videos of the growth of lab-created snowflakes, and snowflake books. If you're ambitious enough, you can make patterns for your snowflake cutouts based on some of these. To see more Flannel Friday posts from other bloggers, go to this week's Flannel Friday Round-Up hosted by Lisa at "Libraryland", or visit the Flannel Friday Pinterest board for tons of inspiration. For more information about Flannel Friday and how to participate, visit the Flannel Friday site. 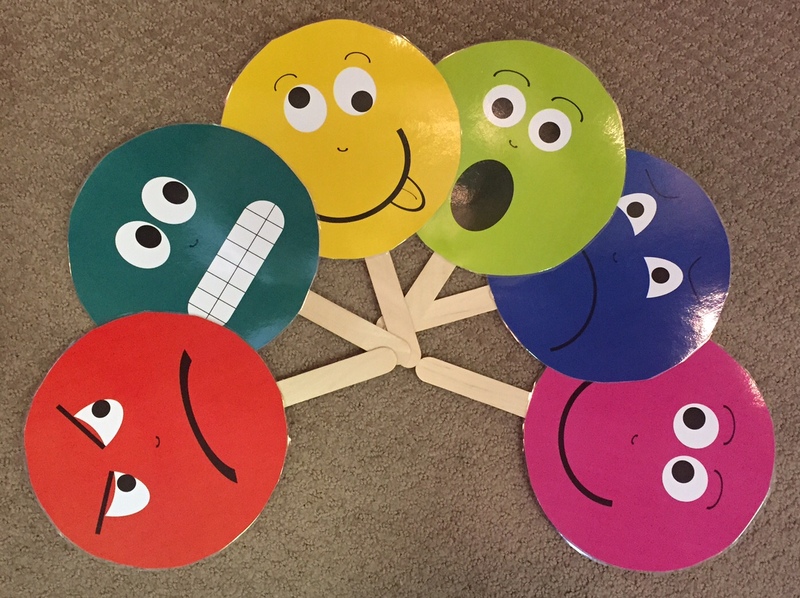 I also had these "faces-on-a-stick" I made using the printable faces shared by Leah at Sunflower Storytime that I sometimes held up to indicate which feeling we were doing next. With every group I used these faces for another activity. First I would ask the kids how you can tell what someone is feeling. I was surprised at how much prompting it took to finally get them to say something along the lines of "looking at their facial expressions" (and sometimes I had to just say it myself). Then I would hold up each face and let them guess what the feeling was. Next, I would ask them to make a face showing how they looked when they felt that way. (I printed these on cardstock, laminated them, then hot-glued to craft sticks). The next song goes back to my childhood, when my mother would sing "Ten In a Bed". 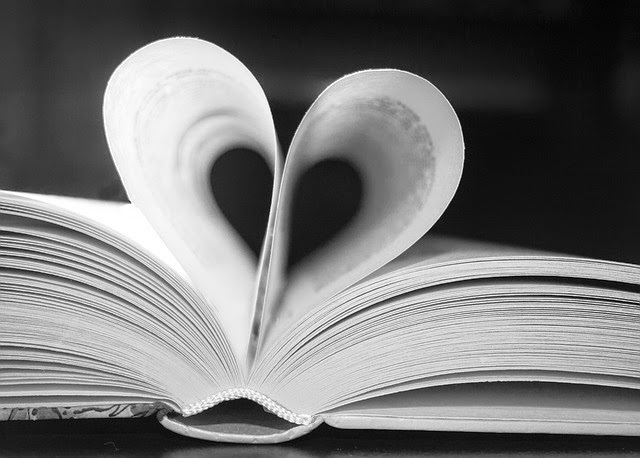 I would never have thought to use it for a "Feelings" theme if I hadn't seen Ms. Anna's blog post at Future Librarian Superhero. She used felt faces to show that at the beginning, the four bigger ones (for this purpose the song is shorted to five) are smiling with eyes closed, sleeping contentedly, while the little one has a grumpy face because he doesn't have enough room. 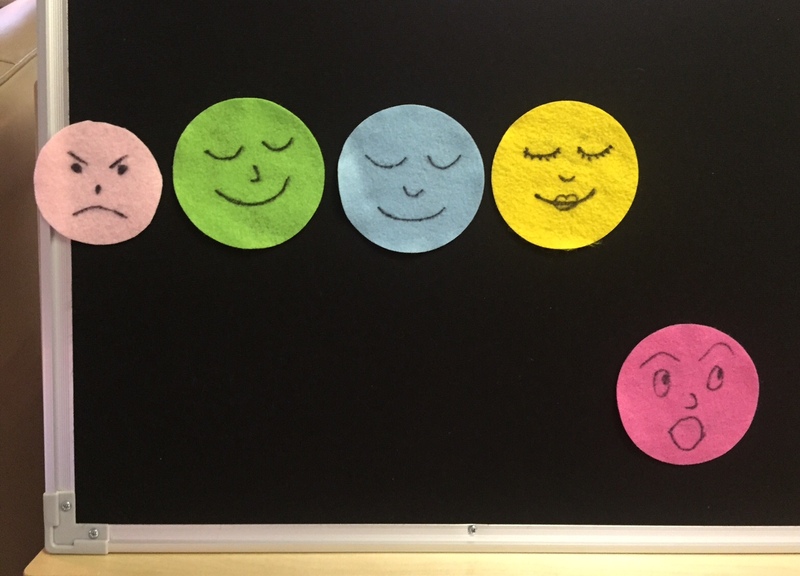 Then, one by one the felt faces are turned over to show a unhappily surprised face as they roll over and fall out of bed, and at the end the little one is turned over to reveal a contentedly sleeping face. "Ahhhhhhhh. Now I have the whole bed to myself. Goodnight!" "H - A - P - P - Y"
And she is feeling Happy. And she is feeling Happy! And he is feeling Tired. And he is feeling Tired! And she is feeling Angry. And she is feeling Angry! And he is feeling Silly. And he is feeling Silly! I decided to make felt pieces to go with this, both the letters to spell out the words, and faces to indicate what they were. I used dies to cut out the letters because it would be much faster and easier, but then when I used them I decided they were too big and floppy. Eventually I hope to have time to replace them with smaller letters, preferably of stiffened felt. 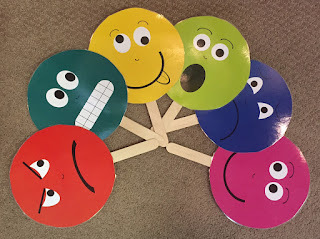 In addition to these structured activities, we also worked in talking about how to express emotions and deal with anger, what makes us feel happy, sad, etc., and how to show empathy for someone who is feeling bad. The kids loved singing all the different verses of "If You're Happy And You Know It" since it was a song they were familiar with, and they got to do all the actions and facial expressions. They also really liked all the different faces and naming the emotions and making their own faces. What kid doesn't like making faces, right? Some kids were so entranced by the faces, they asked to look at various ones again. The "Five In A Bed" song went over pretty well, too, and I think having the faces to go with it are what really sold it. The adults all liked this song as well, remembering it from their childhoods as I did. Kids today do not seem to be familiar with it, though. The "H - A - P - P - Y" song seemed like a great idea when I planned it, but in practice, it was a bit too much going on. It wasn't repetitive enough for the kids to really get the hang of it, and many of them did not have good enough letter-recognition skills to follow along. I think this would probably work better with a slighter older group, kindergarten to first grade, and when you have time to run through it a few times so they can really learn all the words. Overall, I think the theme worked really well, though it is one I would have loved to be able to devote more than 25 minutes to so we could spend more time just talking about all the different aspects of feelings and emotions. The kids REALLY like seeing all the different faces/emojis with different expressions. So much so that the decorations on the walls of the bus were a bit distracting and over-stimulating to them. I will cut down on the decorations next time, but try to find a couple more songs or rhymes that I can include face props with.